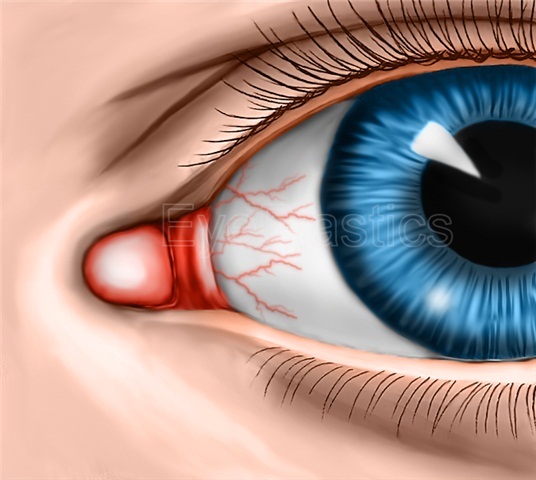 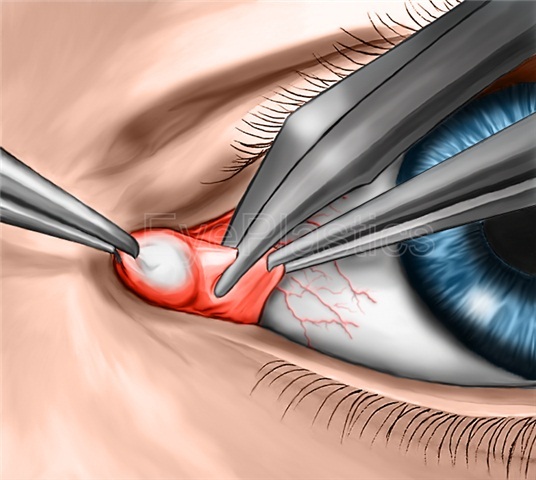 Either the infection could dissect under the periosteum and lead to subperiosteal abscess (SPA) or intraorbital abscess could be formed secondary to a progressive and localized cellulitis. 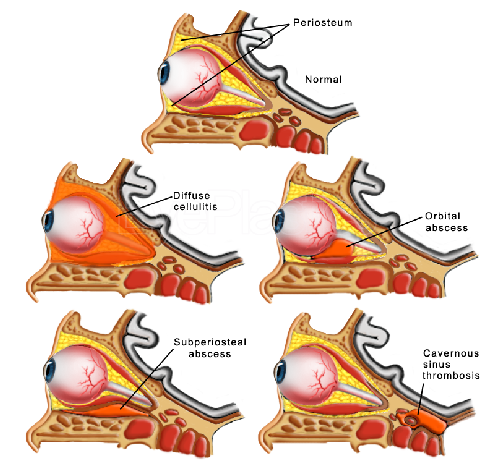 Without appropriate tre atment orbital infection could lead to serious complications, even death. 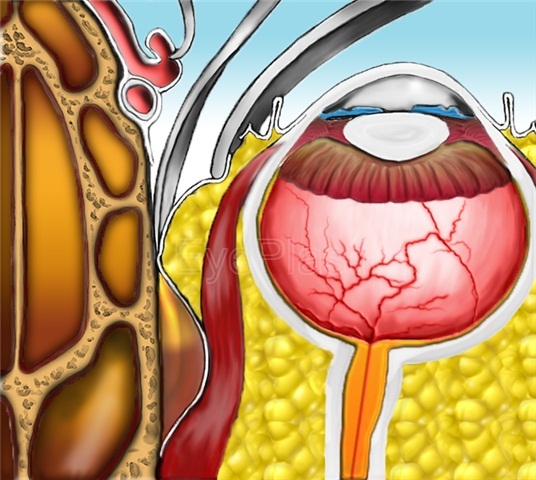 Prompt treatment is mandatory to avoid visual loss or intracranial complications. 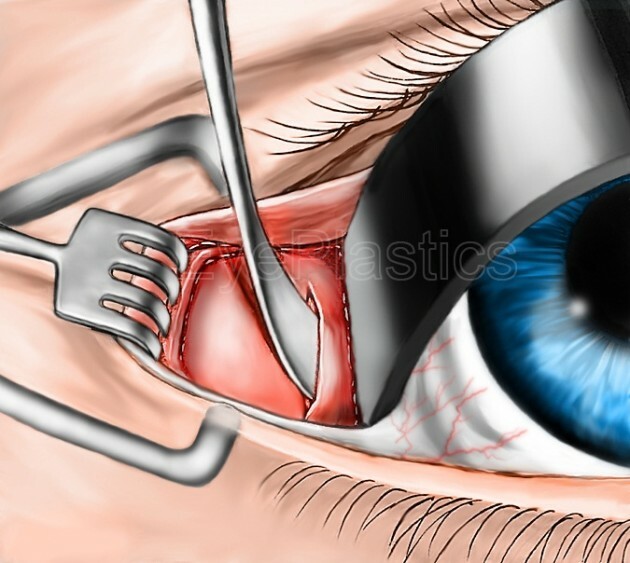 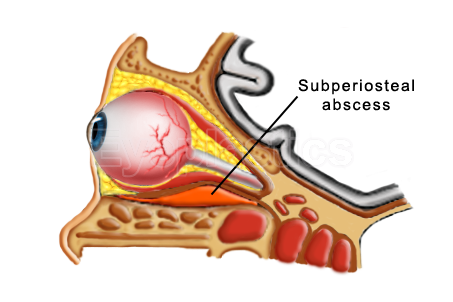 Initially, IV antibiotics could be administered, but if no improvement appears within 48h, surgical drainage of the orbit and the affected sinuses must be performed.